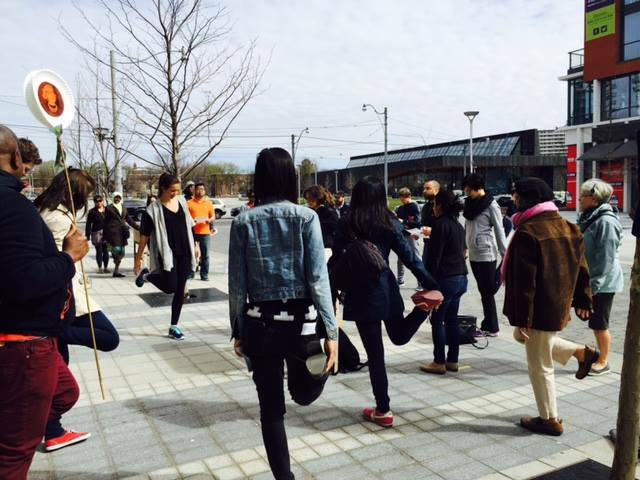 On May 1, 2015, Building Roads Together (BRT) led a glorious Jane’s Walk on a beautiful day in Regent Park. Our peer leaders and program partners were joined by more than 40 people, from current and former Regent Park residents, to people from across the city, and one all the way from Kingston, Ontario! Farah was especially surprised and excited to reconnect with an old family friend from Nairobi, Kenya, now living in Toronto, after 20 years. The diversity of participants reflected our program vision of inclusion, and validated our work to scale the program across Toronto and beyond, in partnership with the Canadian Centre on Disability Studies, and University Health Network, with support from the Centre for Social Innovation, and Dalla Lana School of Public Health, University of Toronto. We led the group on a route that reflects our journey from developing the program, to training, to leading peer walking/rolling groups. 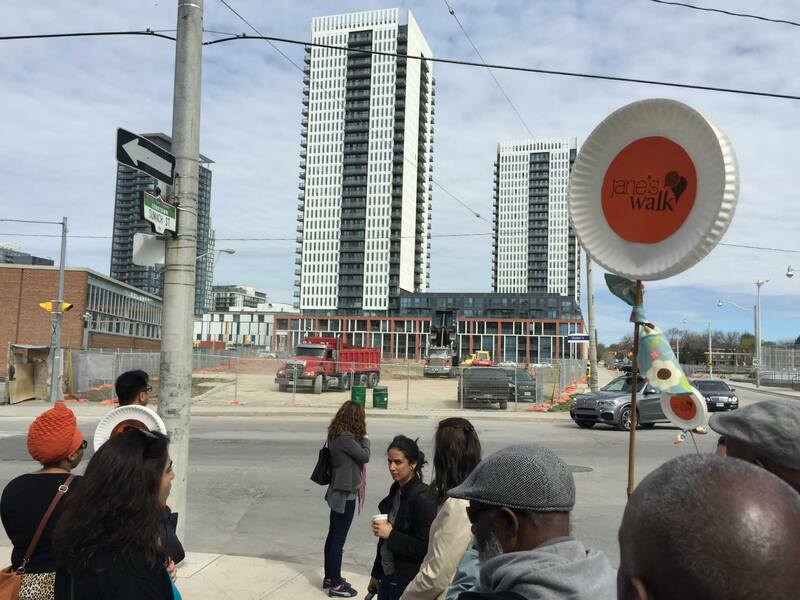 We shared our experiences of developing the program and walking/rolling groups in the context of the Regent Park revitalization, where new buildings are emerging from the rubble of those demolished. Peer leaders shared their personal experiences of transforming their health issues into community leadership via peer support. Jerry, a trained BRT peer leader, co-leads two groups that emerged from the training program – one for people living with diabetes, and another for isolated men. He walks a minimum of two hours a day, and has traversed the city on his own two feet many times over. Lili, another trained Building Roads Together peer leader, co-leads the group for people living with diabetes. She likes to walk fast. 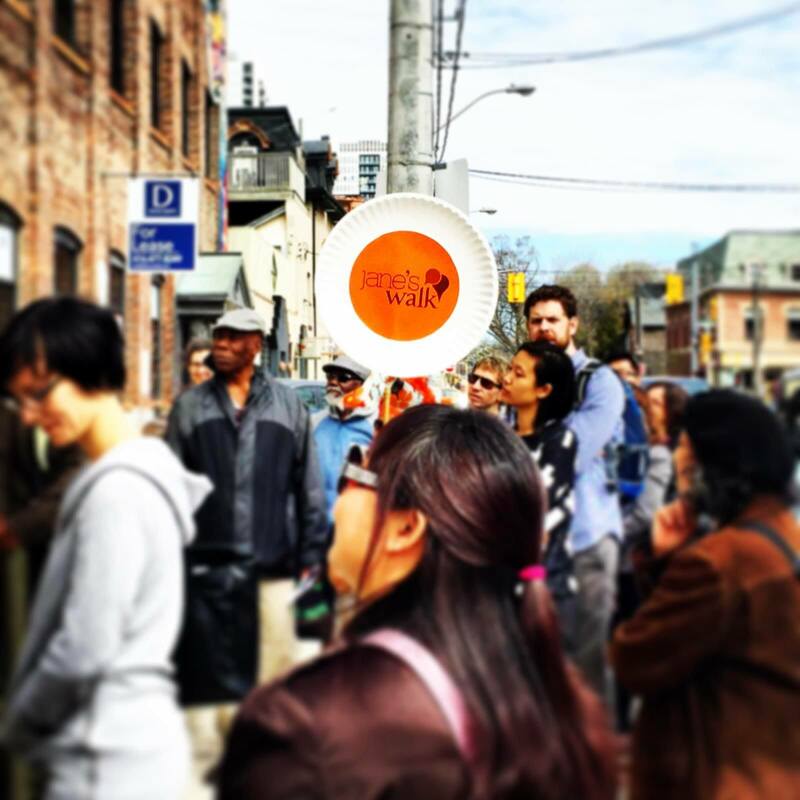 Jerry, Lili, and other BRT peer leaders are now also collaborating with community-based agencies to provide support such as meals to Regent Park and area residents. During our walk, they connected participants seeking support to their groups and initiatives, and to area agencies on our route. Staff from the Centre for Social Innovation, Regent Park Community Health Centre, Dixon Hall, and TD Centre of Learning, shared their involvement in Building Roads Together (BRT), and their broader roles in the Regent Park community. Walk participants posed questions, including some about their specific support needs. Agencies welcomed them to participate in their programs and services. The TD Centre of Learning hosted the closing of our walk, complete with delicious refreshments made by a member of the Regent Park Catering Collective, who is also a Building Roads Together peer leader. It was a wonderful opportunity for peer leaders and program partners to work together to engage people across the city in walking with us. We are grateful to: peer leaders and program partners for their leadership; all those who participated for their engagement; and Jane’s Walk for their immense support. We look forward to ongoing collaboration with Jane’s Walk, and welcome continued connection with walk participants.